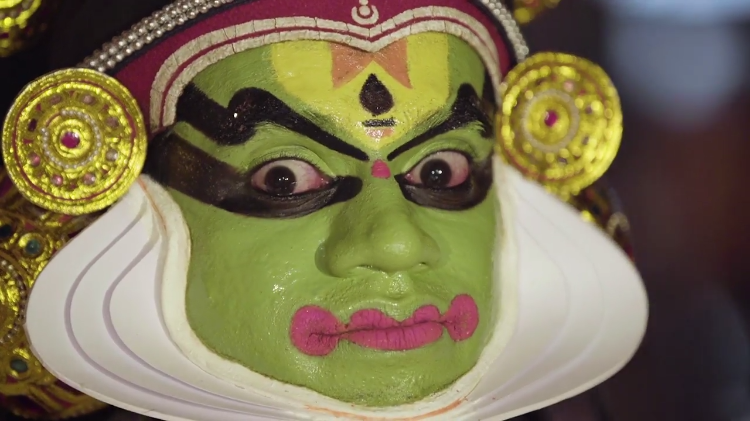 Great Big Story visited Keral Kalamandalam, a school in Kerala, South India to learn more about the beautiful tradition of Kathakali. Teacher Kalamandalam Ravi Kumar explained that this intricate dance encompasses the entire body, especially the eyes and requires years of practice. The students start young and work their way up to the stage. Kathakali is a traditional Indian dance native to the southern state of Kerala. To perform it, artists deck out in elaborate costumes and colorful makeup to tell stories from Hindu epics. It takes students nearly 12 years of training to learn the choreography and gestures necessary to Kathakali. But the real trick? Mastering the eyes.